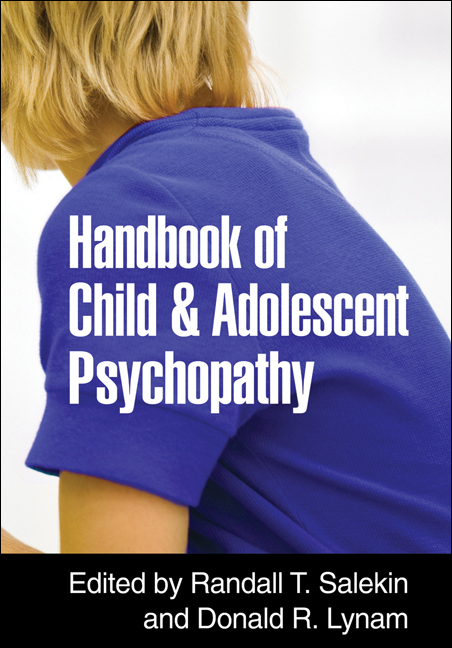 This comprehensive handbook synthesizes the rapidly growing research base on child and adolescent psychopathy: its nature, causes, development, assessment, and treatment. The editors and contributors are leading authorities who review state-of-the-art empirical findings and weigh in on pressing questions, such as how the disorder should be conceptualized in youth and how to evaluate it in clinical and forensic contexts. Available assessment instruments and intervention approaches are critically examined. Etiological theories are presented that shed light on a range of potential causal mechanisms, including genetics, brain functioning, temperament, family processes, and other factors.